Philip Pulliam is a lifelong resident of Calhoun, Georgia and is very knowledgeable of the surrounding counties. Philip has a passion for the real estate industry and loves helping his clients find the home of their dreams. 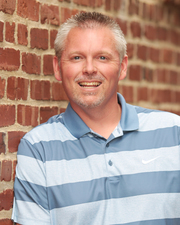 Philip strives to increase his knowledge of the real estate market in Gordon County. Philip works hard to negotiate great deals for his clients and always puts his client’s needs as number one priority. Philip believes that respect and integrity is the key to being successful. Philip is a member of the Bartow Area Board of realtors. When Philip is not selling real estate he enjoys spending time with his family and friends. He also enjoys volunteering at his church.